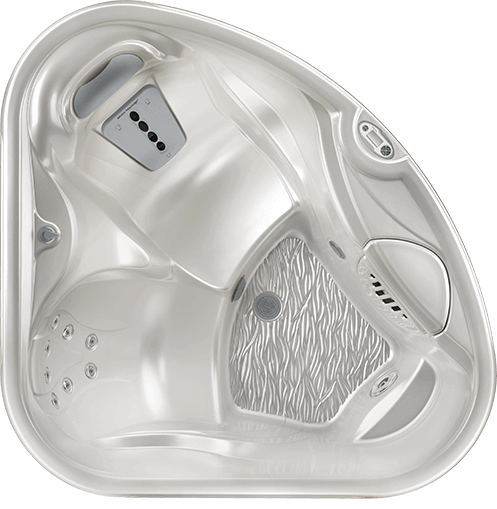 With its slim profile and unique shape, the HotSpot® TX hot tub can fit into many spaces. Simple to use you will be enjoying the benefits to your body from a HotSpot® hot tub in not time. Sit back and let our TX hot tub give you a spa experience to remember. HotSpot® hot tubs are all about simplicity. Electronic controls mean you select the desired temperature using the backlit display panel or the optional IQ 2020® remote control. Just set it and forget it. The insulated foam shell and vinyl cover help retain heat to keep energy costs low, and the integrated filtration system keeps the water clear and fresh with minimal effort. For a more natural water care, you can always add the optional FreshWater® III ozone system.